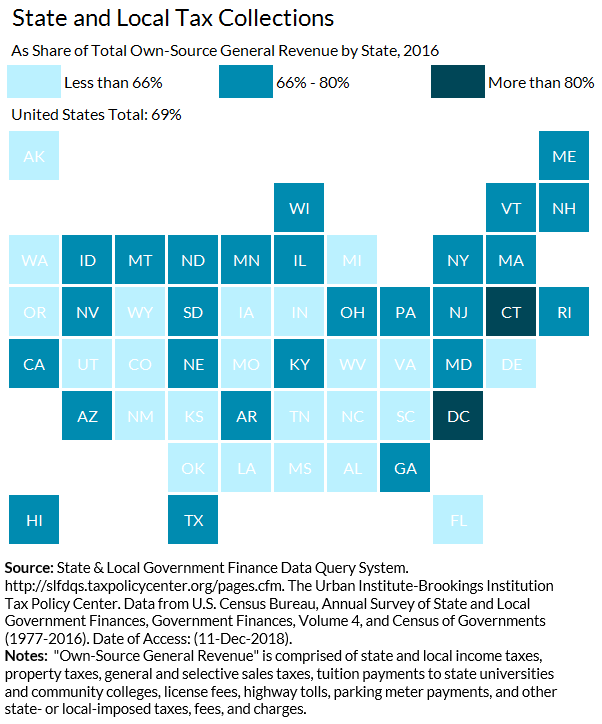 Taxes comprised 69% of state and local own-source revenues (excluding federal transfers) in 2016. This share ranged from 37% in Alaska to 83% in Connecticut. Non-tax forms of own-source revenue include oil and gas royalties, public tuition payments, and highway tolls.